Insights on new alloy development, advanced bonding solutions and more are being brought to Detroit, Michigan, this week by Novelis automotive R&D and commercial executives speaking at the 4th Annual Global Automotive Lightweight Materials conference.Novelis scientists and engineers work every day on ways to make vehicles lighter, stronger and safer. 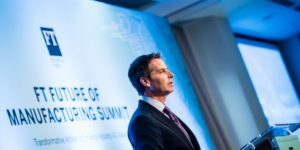 And this week, we’re bringing those insights forward, encouraging the industry to evolve with us and adopt new and better solutions for making vehicles. Understanding the structure and composition of a new alloy at both the nanoscale and microscopic level is critical to successful alloy development. 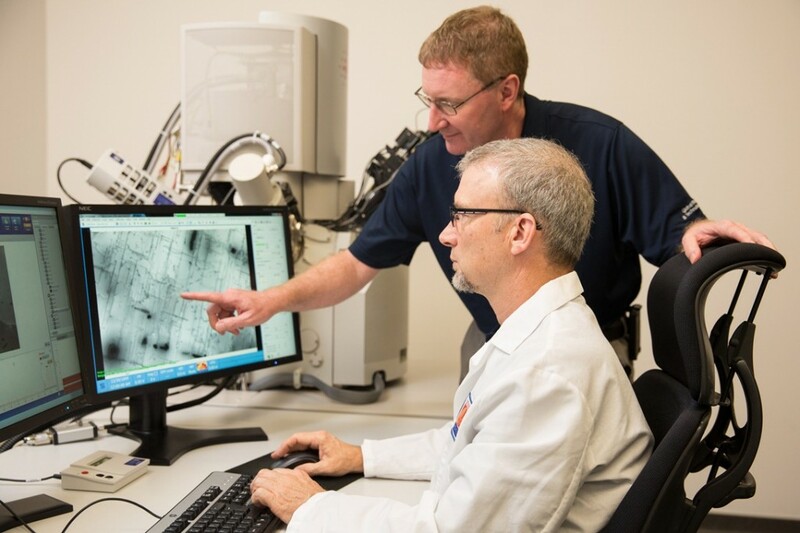 Novelis researchers use state of the art Scanning Electron Microscopes to analyze the microstructural features that lead to enhanced strength, durability and formability for styling. 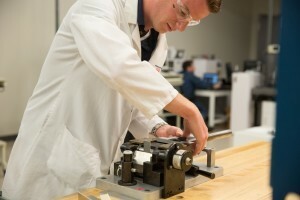 Engineers in our mechanical and thermal testing lab analyze sample materials for strength and formability characteristics. 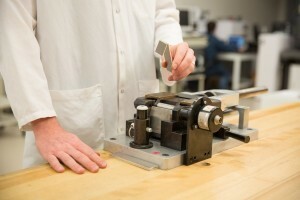 The results of these tests help us to evaluate an alloy’s capabilities for in-vehicle service as well as for robust automotive manufacturing processes such as stamping, hemming and riveting. Ultimately, our alloys need to meet the most stringent requirements for aluminum vehicle technologies to be successful. Our mechanical testing engineers also conduct crush tests to assess our alloys’ capability for crash safety performance. We have designed unique high strength 6000-series and 7000-series alloys specifically for components that protect passengers in the case of vehicle impacts. 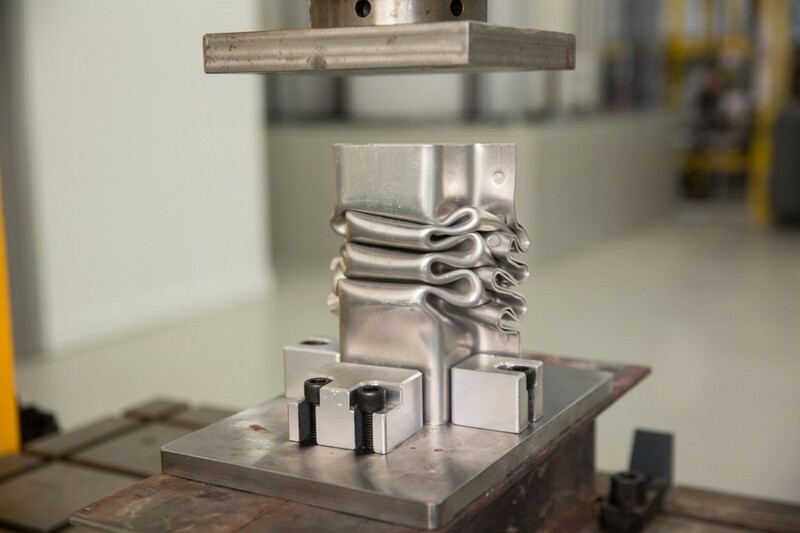 Our new Advanz 7000-series, designed for vehicle bumper systems, crash ring components and door intrusion beams, have shown to be two to three times stronger than conventional aluminum alloys in our laboratory tests. Pretreatment is a chemical process for aluminum that creates the most uniform surface possible and prepares the surface for final treatments, including adhesive bonding and painting. In addition to alloy development, we must determine the appropriate pretreatments to prepare the alloys for their commercial end-use. 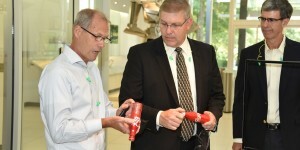 Novelis commissioned the most advanced automotive pretreatment pilot line in the world. 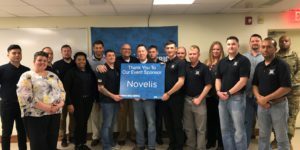 And in collaboration with Henkel, Novelis is commercializing a new pre-treatment that is poised to set a new standard in the global auto industry, bringing added performance and versatility to the manufacturing process. 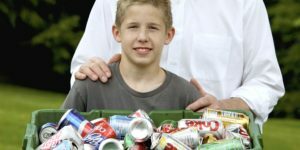 The surface quality and material characteristics of aluminum can be altered in the very early stages of production, including the rolling process when an ingot is transformed into a coil of flat rolled sheet. Our pilot-scale rolling mill enables Novelis to test new aluminum alloys from the very first stages of the production process. In addition to alloy innovations, our experts are working on advanced surface finishing, joining and forming methods and much more. 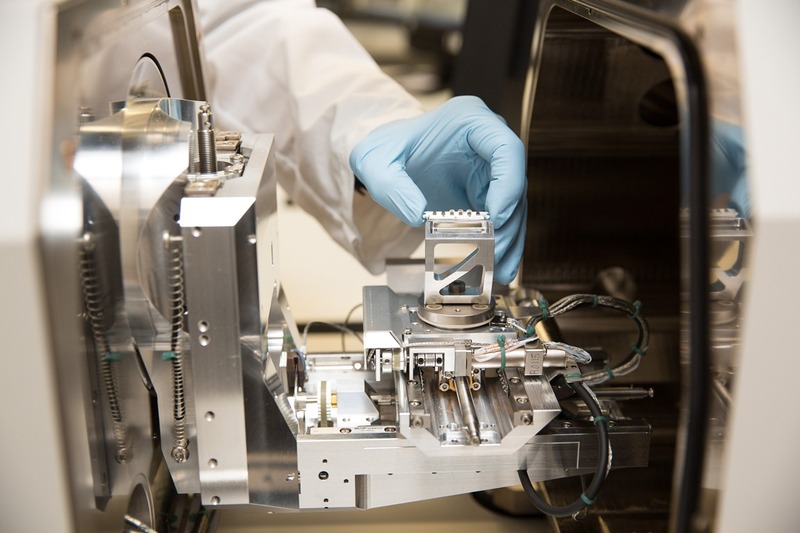 This is just a snapshot of the kinds of research, testing and analysis taking place behind the scenes at the Novelis Global Research and Technology Center in the United States and at our specialized R&T centers around the world. 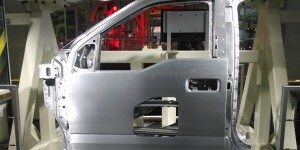 In the end, we see it as our job to be the experts in aluminum innovation. And as we pass that knowledge on to the automotive industry, together we can make the roads a little safer, a little more sustainable, with each passing generation.